While it may seem by the score that the game was mostly a blowout, Massachusetts did have their chances. Some of the more noticeable ones included Pirates quarterback Sean Brackett missing wide-open receivers in the endzone, drives choking out due to fumbled snaps, illegal procedures, and interceptions, as well as the defense having to stay on the field due to their own miscues. 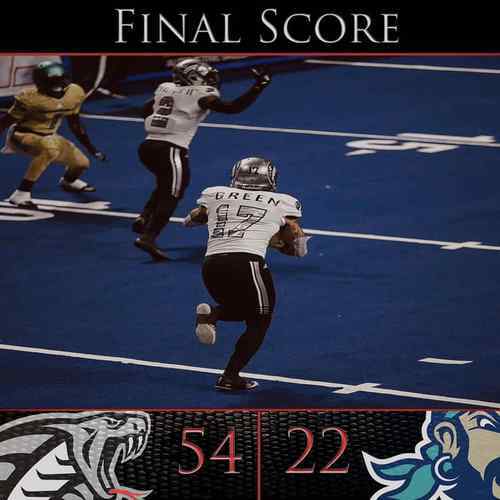 It will be interesting to see what the Pirates come up with in a week to take down the Cobras, as they will be facing them Saturday, April 20th, 2019, at the Greensboro Coliseum for the Cobras home opener and super hero night.